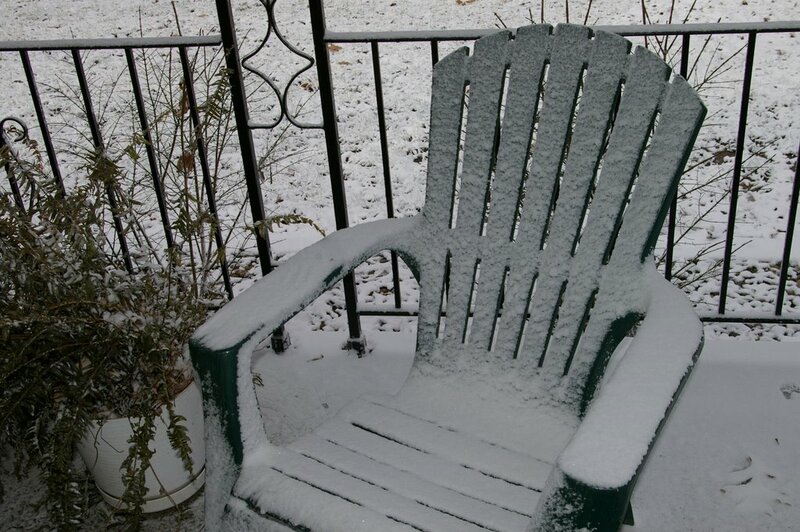 My chair never looked like this when I grew up in Florida . . . unless the sand from the beach covered the chair! It was a messy night here! Rainy and icy all night – and then a covering of snow this morning. The first of the year! Schools are closed or letting out early because of the very slick roads. As I sit here waiting for the family to come home from school, I have been enjoying some Heaven High! Hell Deep! World Wide! Shot Gun Barrel Straight preaching by Ray Bennett . . . Maybe you would like to listen too! Have a great day – whether snowy, sunny, rainy, cloudy, or whatever, because this is the day that the Lord has made. Let us rejoice and be glad in HIM!